Helping Seniors Declutter: How Digitization Clears Space Without Removing Memories. | Full Circle Home Care Inc. Helping Seniors Declutter: How Digitization Clears Space Without Removing Memories. When I was younger, my mom bought a brand new automatic bread making machine. The view was that it was going to save her time and allow us to have fresh bread in our house at all times. This was the late 80s, when it seemed like virtually every household in Canada either had one or was in the market to purchase one. Granted, their popularity has waned somewhat, but they were still one of the most popular small home appliances available on the market at the time. When you really stop and consider what they are capable of doing, it is no wonder that so many people already had one of these appliances inside their home that allowed them to wake up to the smell of fresh bread. Shortly after my brother and I left home, my mom stopped making fresh bread on a regular basis so she gave the machine to me. Eventually we stopped using it and it sat in a kitchen cupboard gathering dust. Recently my wife was cleaning out our kitchen cupboards and asked if I wanted to throw it out or give it away. I was surprised at my vehemence. How could we throw this away? That’s what life, and time, does. When purchased, the bread maker was just a machine. But through the slow accumulation of time’s weight, it acquired the heft of memory. What was functional became emotional. For aging loved ones, a household of what, for many, is just “stuff,” is far more than that. It is the physical record of a lifetime. That’s why so many of our older relatives’ houses are cluttered, which can be uncomfortable and even dangerous, since it increases the chances of accidents. 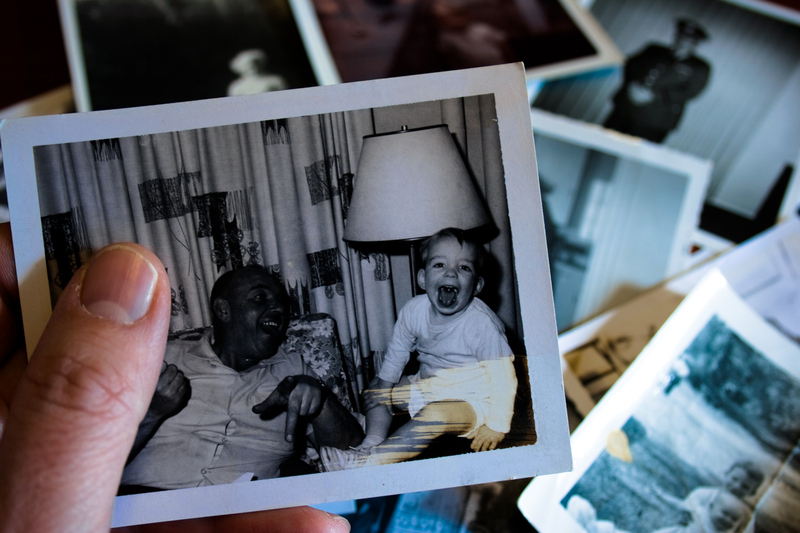 As caretakers, and as concerned friends and relatives, we have to balance the need to declutter with our loved one’s understandable desire to hang onto memories. Using technology is one of the most important decluttering tips for seniors. There is a certain catharsis in throwing stuff away, and that catharsis comes easier when the stuff isn’t our own. It can be tempting to walk into the cluttered home of a loved one, see the appliances that never get used, the tables that are just taking up space, the books that totter in dangerously high stacks, and just want to get a large bin and chuck everything. The end result would be good, as it would make the home safer, and allow our loved one to stay there without being in danger. But of course, just coming in and throwing stuff away can be cruel. This is a job we have to approach with not just efficiency, but with compassion and sympathy. This starts with a conversation. Find out what is important and useful to your loved one, and what is just a memory. Take the bread maker machine, for example. I like it because of nostalgia, though the key to having fresh yeast on hand to make the bread makes me not want to use it. So what we can do is take a few pictures of it, and then get rid of it. While it hurts to throw it away (or donate or recycle), that’s only because of the sentimental feelings I have when looking at it. I can get that from a picture. This was confirmed when I asked my mom if she wanted it back—she always said no, because she didn’t need it, but when I sent her a few pictures she lit up. The pictures alone were enough to bring back mornings of the whole family sitting around the kitchen table digging in to a loaf of fresh bread, or the time my brother and I tried to make some with expired yeast. The memory is what is key; not the machine. So have a conversation with your loved one. Find out what they need, and what is there just for nostalgia. Find out what is a memory due to tactile sensations; while the object might not have value, it can’t go for this reason. Distinguishing what is actually untouchable from what is expendable can make the process much easier for everyone. Take a million pictures before you get rid of anything. That’s just the first step, but it is representative of what you need to do. Digitization is the key here, and that starts with education. It’s a myth that older people are incapable of learning new technology, but again, the key here is to use compassion. You can’t just spring a tablet on them and say “this is where your life is now.” Before even beginning the process, help them learn and get comfortable with using the technology if they aren’t already. Show them how this makes things easier, and how it makes everything more accessible. This is good, too, because there are studies which show that learning new technology can also improve cognitive function as we age. After digitizing, the main concern is organization and accessibility. Turn the photos into albums, with clear labels that can be pulled up easily. This isn’t a matter of scanning and dumping. Make sure that they are arranged in a way that is accessible to your loved one, so that when she wants to pull up pictures of, say, the trip to Florida with the grandkids, it is immediate. This is the same with important legal documents. It is vital to have backups of these files, so that memories are safe even if a glass of water is knocked over. In this case, cloud storage is ideal, since that is far safer and isn’t dependent on a single machine. Make several other backups, even redundant ones, if only to ensure your loved one that nothing will just vanish. Finally, remember that not everything has to go. There is tactile joy in old photos that go beyond the image, and there are inscriptions in books that make you remember the day she gave it you, with a note pledging love. Decluttering is about compromise, and finding out what is truly important. You should remind your loved one that what you are doing is not getting rid of memories, but preserving them and making them last. It’s about making faded photographs come back, forever.